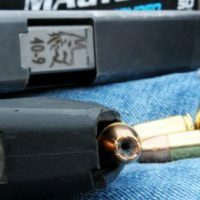 Magtech might not be the name that first springs to mind when you think of premium defense ammunition, but you could be looking for less expensive, but still decent defense oriented ammunition for rainy day storage or hunting. If that’s the case, this line of bonded ammunition may be pretty attractive. Bonded JHP usually performs pretty well. Let’s take a look. TTAG Daily Digest: THAT’S Not an Arsenal!